For Anne Lewis, music has always held a very special place in her heart. It was music that comforted her when her beloved father was diagnosed with prostate cancer, a disease that eventually took his life in 1992. Like her father, Anne is passing down her passion for the arts, sharing her love of music with her sons, and two young grandchildren. Anne is referring to her life-threatening battle with cancer, which happened just over a decade ago. It was in 2004 that the songstress discovered a worrisome spot on her back. The fact that it was itchy and grew quickly prompted her dermatologist to remove it. The biopsy results confirmed that the nodule was indeed cancerous -stage III melanoma. But that diagnosis turned out to be just the beginning of her journey. A CT scan for the melanoma found a second cancer in her body, this time it impacted her thyroid. As part of her treatment for the second cancer surgeons removed her thyroid, and Anne was devastated to discover the procedure had compromised her vocal chords. She was no longer able to sustain the same notes and was forced to come to terms with the fact that she might never sing again. With the help of family and friends she found the courage to push those thoughts aside and made a commitment to herself to stay positive. She focused her efforts on getting her strength back, and then rebuilding her voice. She spent months working with a speech pathologist, and for Lewis, the results were more than she could have imagined. Then in 2015, she made her triumphant return to the stage – performing a concert at the National Arts Centre, and she hasn’t looked back. On September 22nd Anne will take the stage again, this time at the Brookstreet for the 14th annual Lumière Charity Gala. For Lewis, it will be a full-circle moment, giving back to an event that supports local cancer care through the Ottawa Regional Cancer Foundation. The Brookstreet Hotel, in partnership with the Wesley Clover Foundation are pleased to present the 14th Annual Lumière Gala on Thursday September 22, 2016. The extravagant red-themed evening will include ten different food stations serving contemporary creative cuisine, as well as a selection of delicious cancer busting super foods paired with exceptional wines, live jazz, silent and live auctions and an unforgettable fireworks display, this will be an evening to remember! Tickets are $150 each. 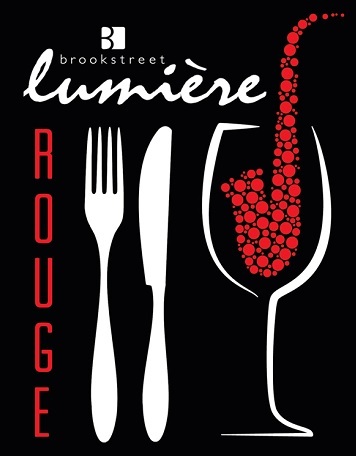 For more information please visit http://www.brookstreethotel.com/eat/lumiere-charity-gala/.